Northern Colorado Conservancy District, NISP - Sigler Communications, Inc.
Sixteen northern Colorado water providers are seeking to permit and build the Northern Integrated Supply Project (NISP), a $800 million water infrastructure project that will store water in two newly constructed reservoirs. NISP is currently undergoing a supplemental Environmental Impact Statement. 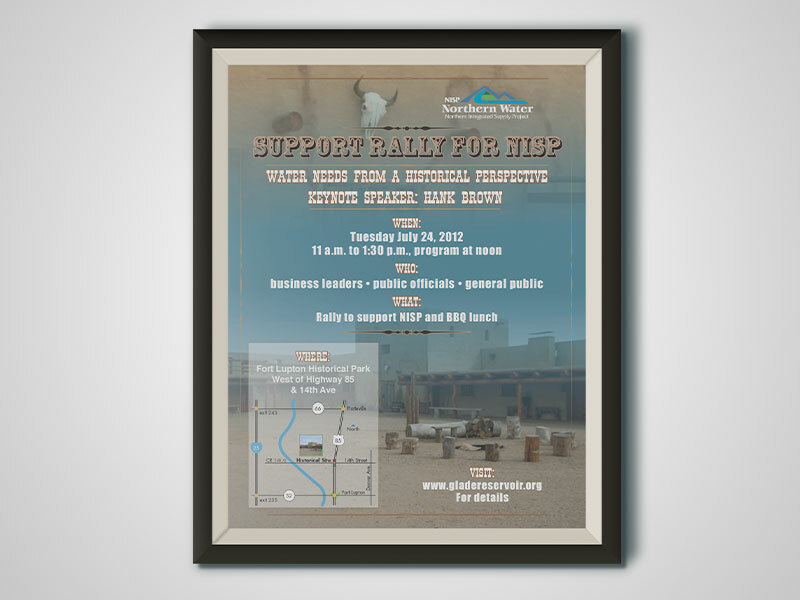 Sigler Communications was retained in December 2010 to support strategic planning, issues management and permitting communications for the Northern Integrated Supply Project (NISP). 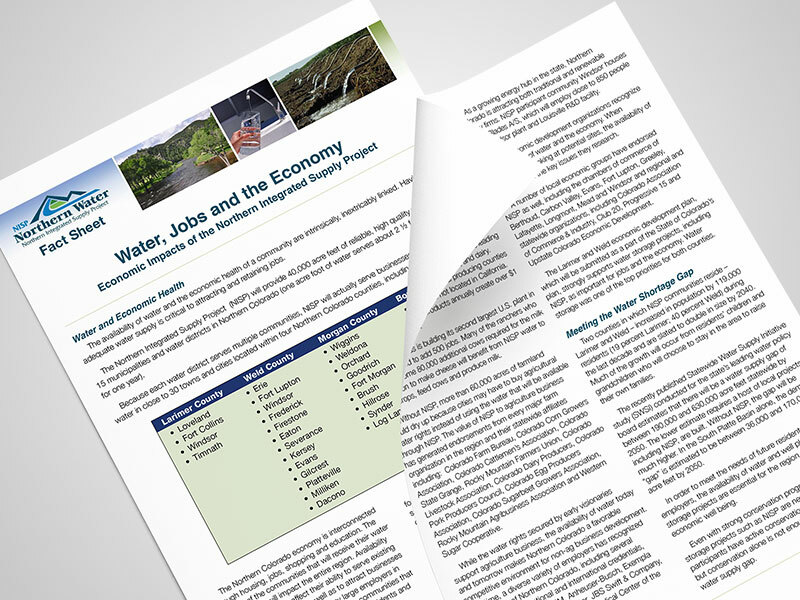 We have assisted Northern Water with key messaging, development of fact sheets, an animated graphic and other tools that have armed supporters with information they needed to help lobby local, state and federal officials to advance the project. 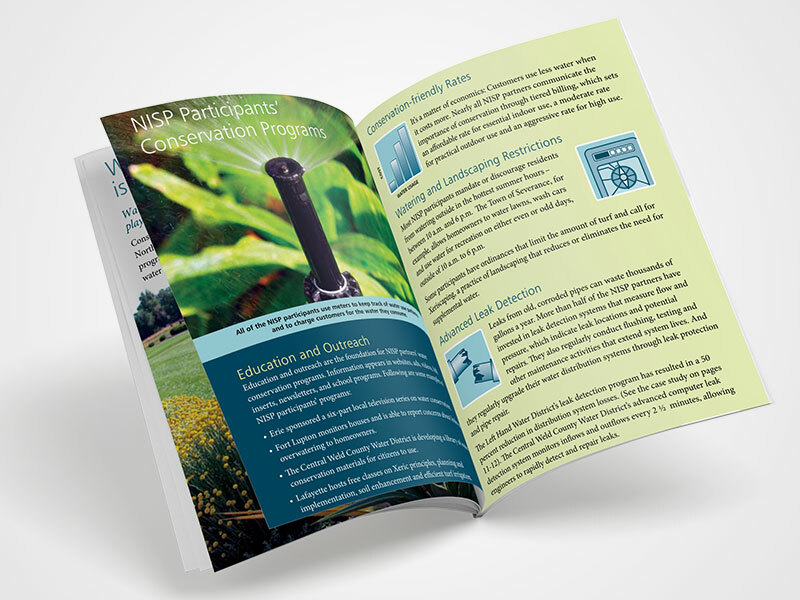 We have worked with NISP to build a support list of more than 100 entities that will advocate for the project including federal, state and local elected officials, business and community leaders. The coalitions we have built in support of the project have been critical in advancing the project through the permitting phase. Because this project is facing vehement opposition from local environmental activists, we developed an eNewsletter, that is sent to more than 300 key stakeholders, to counter misinformation from the opposition and to promote regional benefits of the project.